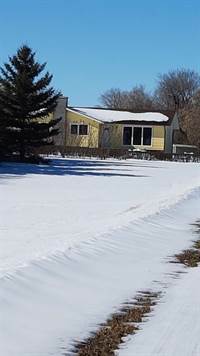 Garage: Single, Detached "16 x 22"
Looking for an acreage to have some space and a few animals, this is the place.1240 sq ft house with open concept kitchen, dining and living room. Lots of built-ins for storage plus a pantry. Large Island for casual eating. Basement ready to be developed to suit your needs. Has a wood stove in the basement for heating but needs some repair. 3 bedrooms, 1.5 bathrooms. Right on Grid Road #600 with only 4 miles to pavement.